Kim was a three sport athlete during her four years at Normandy High School. She played volleyball, basketball and ran track. 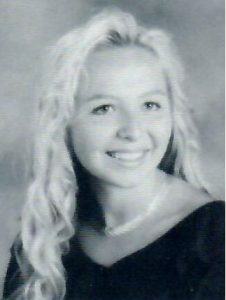 Her senior year, she was selected as Athlete of the Year for the school in 1995. Kim earned four Varsity Letters in basketball. During her sophomore, junior, and senior seasons, she led the team in scoring and rebounding. During her sophomore season, she was voted the Team MVP. As a senior, she was selected as the Lake Erie League MVP for girls’ basketball. Kim continued her education after Normandy at Valparaiso University. She continued her athletic career there, playing Volleyball from 1995 to 1998. After Valparaiso, she continued to play volleyball on the Pro Beach Volleyball Tour. After graduating from Valparaiso, Kim did graduate work at Ohio State University. She earned Law and MBA degrees from Ohio State in 2003. Kim is currently the owner of Harrison – Donaldson, Attorney at Law. She is married to Mark K. Donaldson and together they have one son, Dax.